You'll have heard about Harry August: the title character of a nearly-here novel by someone calling herself Claire North. Furthermore, you may be aware that the first book to feature the fellow documents the highlights of his first fifteen lives—he's an immortal, after all, both blessed and cursed to live his life again and again until who knows when. 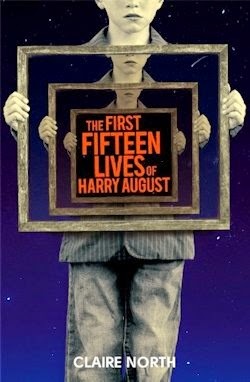 What you might not know is whether The First Fifteen Lives of Harry August is truly any good, or just the latest in a long line of debuts perpetually pitched as the next next big thing. Well. 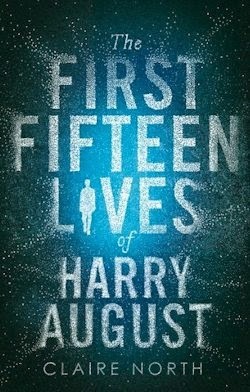 Consider this confirmation: The First Fifteen Lives of Harry August is an extraordinary novel, as the publicity has promised. I'll be reviewing it in full at a later date, but for today, a quick quote. "Yes yes yes." He flapped his hands. "That's all important! But ten thousand words of thesis is... well, it's nothing. And then there's this assumption that I should focus on one thing along, as if it's possible to comprehend the structure of the sun without truly understanding the nature of atomic behaviour!" Here it was again, the familiar rant. "We talk about a theory of everything," he spat, "as if it were a thing which will just be discovered overnight. As if a second Einstein will one day sit up in his bed and exclaim, "Mein Gott! Ich habe es gesehen!" and that's it, the universe comprehended. I find it offensive, genuinely offensive, to think that the solution is going to be found in numbers, or in atoms, or in great galactic forces—as if our petty academia could truly comprehend on a single side of A4 the structure of the universe. X = Y. we seem to say; one day there will be a theory of everything and then we can stop. We'll have won—all things will be known. Codswallop." "Codswallop and barney," he agreed firmly, "to paraphrase Dr Johnson." Perhaps, I suggested, the fate of the universe could briefly take second place to the thorny issue of graduating with honours? The First Fifteen Lives of Harry August will be published by Orbit on April 8th, and you really need to read it: it's as good as guaranteed to be of the best books of the year. Good to hear - I've had the ARC of this for a while, and have cued it up for a read later this month.